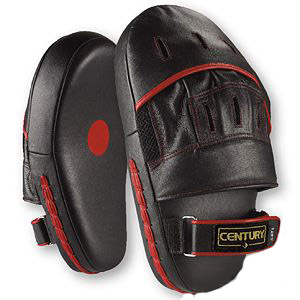 Supreme leather construction with 2" of special contoured shock-absorbing padding and wrist padding. 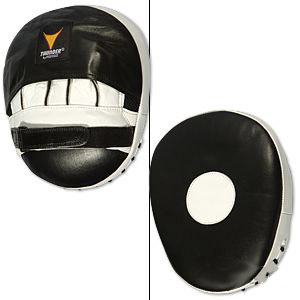 Ideal for holding for jabs, straight punches, hooks, overhands and even uppercuts. Awesome curved design is more anatomically correct for athlete and coach. Hook and loop wrist attachment with d-ring secures snug to wrist and hand. Black with white target circle. Sold as a pair. 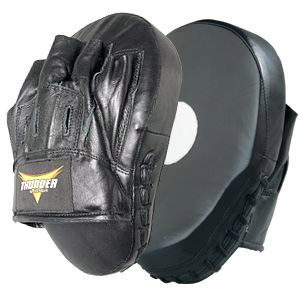 The ProForce® Thunder Round Ultra Focus Glove features genuine leather construction with 4" of multi-layer padding with built-in air flow channels. The palm features a breathable mesh fabric to help keep you cool. 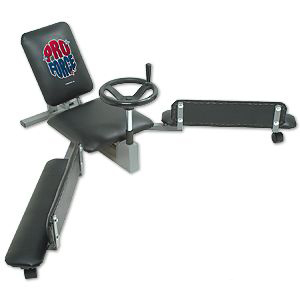 An adjustable hook and loop closure with a padded cushion provides a comfortable fit. Measures 10" wide, 8" long and 4" thick. 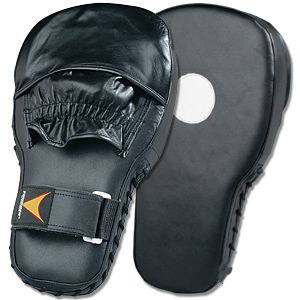 The long design provides extra punching surface and is filled with high-density thick foam padding and a moisture-wicking palm for better breath-ability. The palm also has a target zone to practice exact strikes. The exterior is constructed of genuine leather with a contoured wrist and laced closure. This focus target features a sleek curve design with three layers of foam padding. 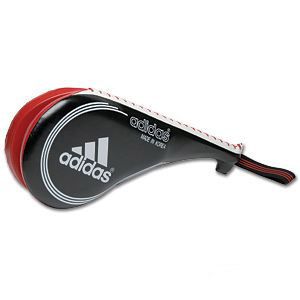 A half ball palm pad provides a better grip and a hold vented palm provides better airflow to cool users during practice. 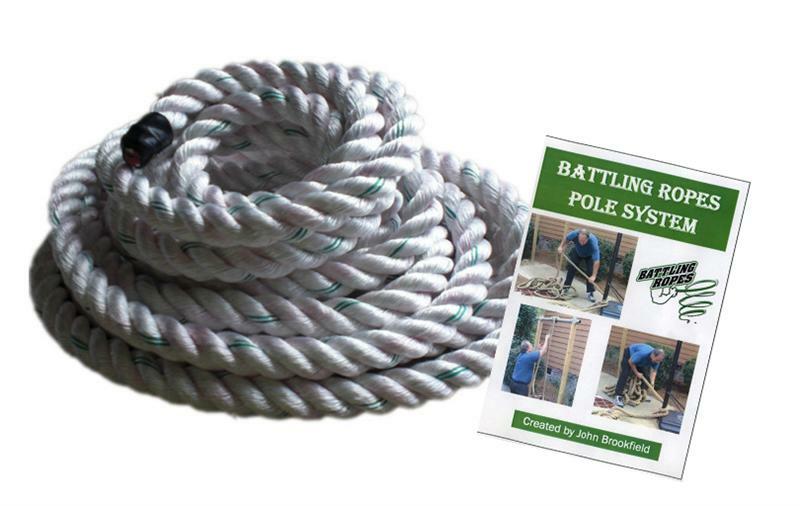 A mesh like sponge backing provides space to release the pressure incurred during impact. Also features an adjustable hook/loop wrist fastening system. Measures 10" x 7-1/2" x 5". Highest quality leather construction. Riveted handles with heavy duty hook and loop forearm straps. Flat striking surface. Measures 16" x 8" and weighs 3-1/2 lbs. 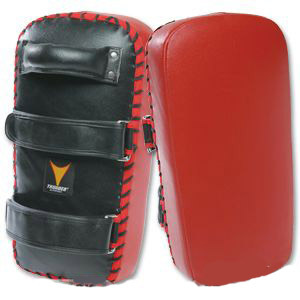 Made of genuine black and red leather. Shell is filled with an extreme high density foam, with a fiber filled core. 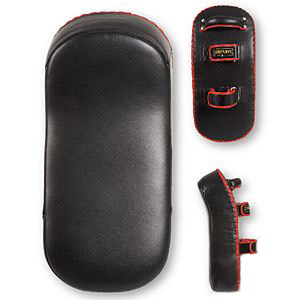 Back of shield features a leather covered grip handle and two leather forearm straps. 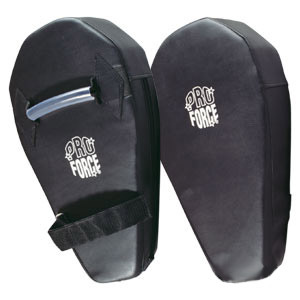 Straps measure 2-1/4" wide with hook and loop closures for a strong, secure fit. Striking area measures 16-1/4" long x 8" wide (at widest point) x 3" thick. 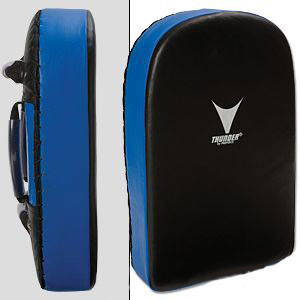 Constructed of a black vinyl shell filled with high density foam and a center core of fiber fill to provide maximum protection for the holder. 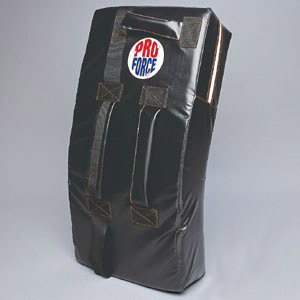 Back of shield includes two 1-1/2" wide nylon forearm straps with hook and loop closures and a plastic coverd grip bar. 4" wide at bottom, 10" wide kicking area, 18" long and 3-1/2" thick. All-new design features a curved top to reduce stress on wrist joints. 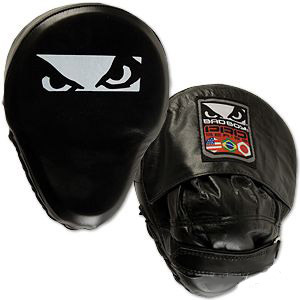 Made extra-long for more hitting surface and is constructed of genuine leather with comfortable straps that minimize pinching. Measures 18-1/2" wide x 8-1/2" high x 3-1/2" thick. 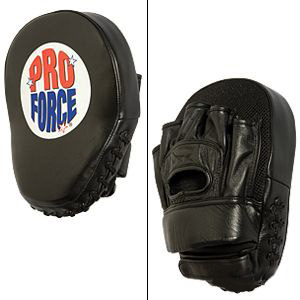 Super shock absorbing high density foam for professional action. 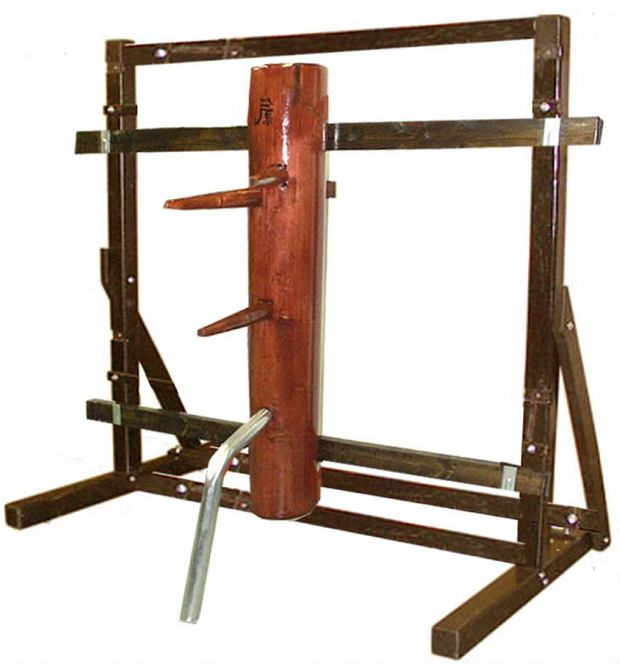 Great for all kicks, punches, and offensive techniques. 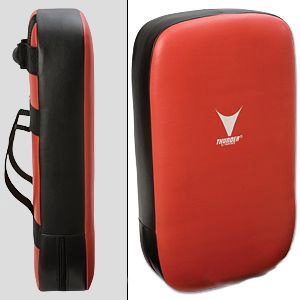 The reinforced two tone Black/Red vinyl cover is built to withstand the toughest assaults and more. 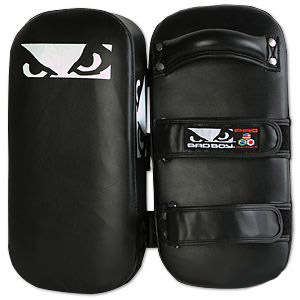 One handle and two straps on the back of this shield allow for horizontal and vertical use. 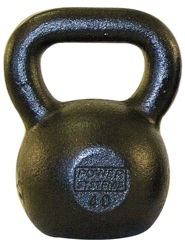 Handles are sized for an easy grip. Measures 22" tall, 13" wide and 4-1/2" thick. Built for everyday professional use. 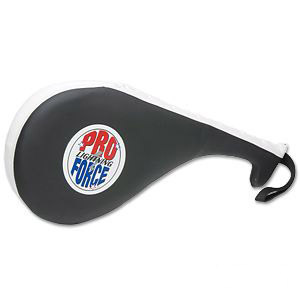 A foam padded target comes with a nylon wrist strap so this won't get away while training. Unique clapping sound from double end is made when struck because of the two sections coming together.